Contributed on April 13, 2017 to Support Historic Afghan Women’s Ascent to the Peak! Contributed on August 24, 2015 to Support Historic Afghan Women’s Ascent to the Peak! Contributed on August 21, 2015 to Support Historic Afghan Women’s Ascent to the Peak! Contributed on August 19, 2015 to Support Historic Afghan Women’s Ascent to the Peak! Contributed on August 17, 2015 to Support Historic Afghan Women’s Ascent to the Peak! Contributed on August 16, 2015 to Support Historic Afghan Women’s Ascent to the Peak! Contributed on August 12, 2015 to Support Historic Afghan Women’s Ascent to the Peak! Contributed on August 10, 2015 to Support Historic Afghan Women’s Ascent to the Peak! Contributed on August 9, 2015 to Support Historic Afghan Women’s Ascent to the Peak! Contributed on August 5, 2015 to Support Historic Afghan Women’s Ascent to the Peak! Contributed on August 3, 2015 to Support Historic Afghan Women’s Ascent to the Peak! 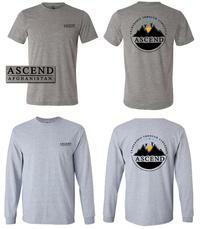 Contributed on July 30, 2015 to Support Historic Afghan Women’s Ascent to the Peak! Contributed on July 29, 2015 to Support Historic Afghan Women’s Ascent to the Peak! Contributed on July 28, 2015 to Support Historic Afghan Women’s Ascent to the Peak!